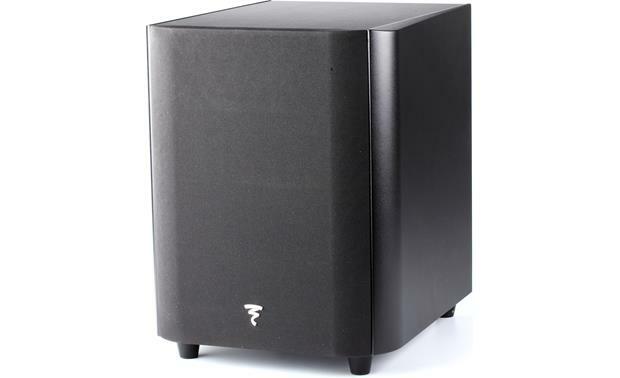 Even though Focal designed the Sub 300 P specifically to complement their Chorus speaker line, this subwoofer will add clear, deep bass to any home theater or stereo system. It includes an efficient 300-watt Class D amplifier that drives a solidly constructed 11-inch front-firing woofer. Made from Polyglass, a lightweight yet incredibly strong material, the driver responds rapidly and produces very little unwanted resonance. This allows the Sub 300 P to add deep, accurate bass to your movies and music, for a difference you can hear and "feel." Housing the woofer and amp is a stiff, one-inch thick MDF enclosure. The heavy-duty cabinet isn't just there for protection — it cuts down on undesirable vibrations, keeping the bass smooth and punchy rather than overly "boomy." 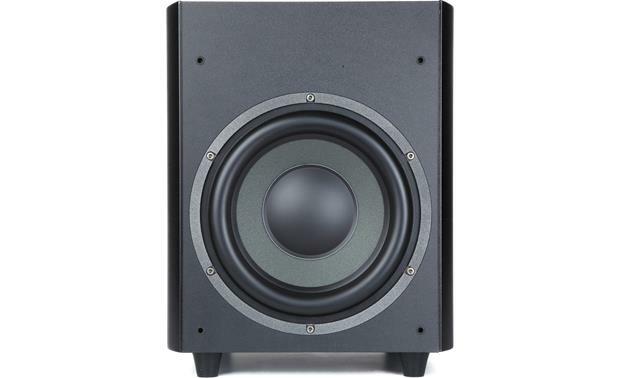 The front-firing 11" woofer provides accurate, musical bass. Focal makes it easy to integrate the Sub 300 P with your existing system. You can hook your receiver or other audio components up to the sub through its LFE or dual line-level RCA connections. Use the Sub 300 P's speaker-level inputs and outputs to connect a receiver without a dedicated subwoofer output. Adjustable rear-panel controls for crossover and subwoofer volume allow you to easily match up the 300 P with your other speakers. Plus, a phase switch lets you tweak the sub's output for more precise bass response. 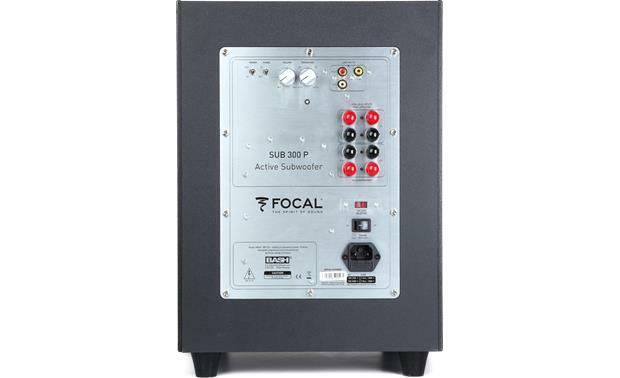 The Sub 300 P is developed and built in-house at Focal's facilities in Saint-Etienne, France. Why is that important? Because it gives Focal complete control over every aspect of design, manufacture, and quality control — resulting a consistently superior, high-value product. 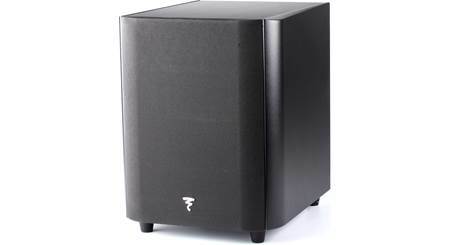 11" Woofer/300W Amp: The Focal Chorus series SUB300P powered sub employs a 11" Polyglass woofer powered by built-in 300W RMS/450W Peak BASH amplifier for dynamic bass response from movie and music soundtracks. Aerodynamic Port: The Focal powered subwoofer utilizes a down firing aerodynamic port greater efficiency and bigger bass. 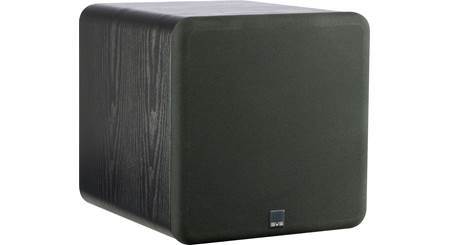 MDF Enclosure: The Focal Chorus series powered subwoofer features an ultra-stiff MDF cabinet (up to 1" thick) with non-parallel sides to prevent unwanted distortion caused by vibration and standing waves. Controls: The Focal Chorus series powered subwoofer features individual controls to tailor volume, crossover frequency, and phase adjustment. Volume Control: The powered sub has a rear-panel rotary volume control to adjust the volume of the subwoofer relative to the other speakers in the system. 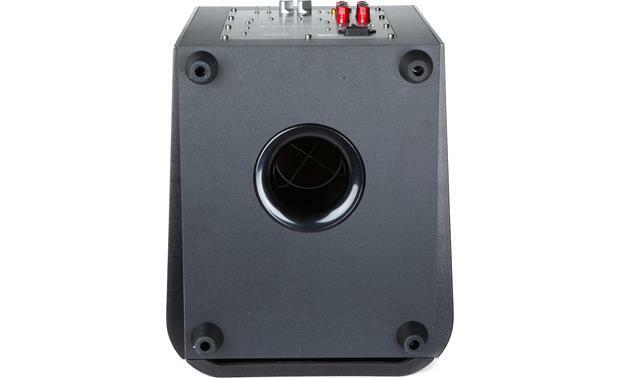 Crossover Frequency: The powered subwoofer offers a continuously variable low-pass filter, adjustable from 40-160 Hz. Phase Adjustment: The subwoofer's phase adjustment allows you to adjust the subwoofer's phase between 0° or 180°. If the bass sounds muddy or unclear, adjusting the phase control can sometimes strengthen the bass performance. Connections: The Focal powered subwoofer offers LFE/RCA inputs, plus speaker-level inputs and outputs. LFE/RCA Inputs: The powered sub has gold plated left & right RCA line-level inputs for use with receivers having a subwoofer or stereo preamp output that do not contain their own low-pass crossover. There is also a dedicated LFE input, if your receiver has an LFE output and a built-in low-pass crossover. High-Level Inputs/Outputs: The powered subwoofer has binding-post terminals for the speaker-level inputs and outputs. 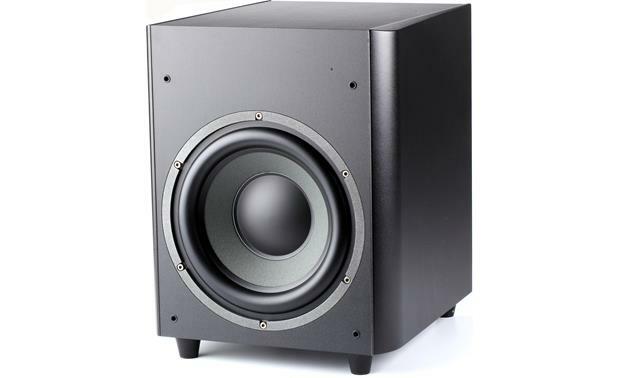 The subwoofer's low-pass filter sends bass frequencies (based on the setting of the filter) to the subwoofer and high/midrange frequencies to your speakers connected to the sub's speaker level outputs. You should set you receiver's front speaker setting to Large. Auto On/Off: The Focal powered sub's Auto On/Off feature will switch the powered subwoofer On and Off automatically by signal detection. 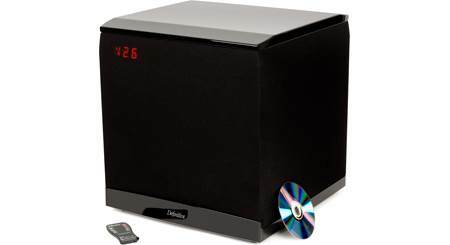 The powered subwoofer will automatically switch on as soon as an audio signal is detected. The powered sub will enter "standby" mode when there has been no signal activity for 3 minutes or more. 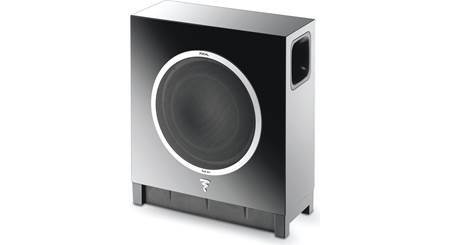 Applications: The Focal SUB300P powered sub is ideally suited to complement Focal's Chorus series loudspeaker line-up and other brands of speakers, adding deep and rich bass extension to your movies and music soundtracks. Placement Options: The powered subwoofer can be placed almost anywhere in the room as bass sound is largely non-directional. For best results, place the subwoofer on the same side of the room as your front speakers. Corner placement will increase the powered subwoofer's output. Can the Focal Easya work with this subwoofer? I'm afraid the Focal Easya system does not offer outputs for connecting an external subwoofer such as the Focal Sub 300 P. For more details or to discuss further, please feel free to contact an Advisor directly by phone (888.955.6000) or online chat. I plan to pair this sub to a 2 ch Focal Chorjs 706 setup. Will this compliment the sound? I see it only gets down to 36hz. Searches related to the Focal Sub 300 P Powered subwoofer.